When your ready to buy, call CPI ! Coastal Property Inspections is committed to the most thorough inspections provided by the best and most customer focused inspectors in the Tampa Bay Area. If our service on the house you are buying does not live up to your expectations and you do not believe you received the most through and comprehensive inspection available, we will refund your inspection fee. 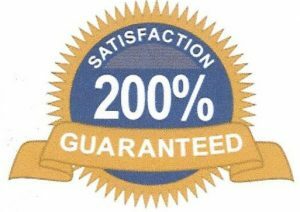 In addition, we will pay the fee of another certified and licensed inspector of your choice to inspect the same home again so you may proceed with your purchase with complete confidence. (1) Please refer to fine print below. Supra e-Key Access. Faster access to homes with a Supra lock box. 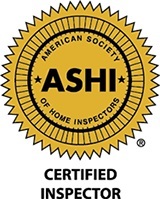 We are ASHI educated, tested, verified, and certified, and all our inspections are performed under ASHI Standards of Practice. We provide expert, professional, inspection services. Call us today! Client must object within 7 days of the original inspection date. Client must be present for the entire Coastal Property Inspections, inspection. Client must provide their specific concerns and reason for dissatisfaction in writing. Coastal Property Inspections will respond promptly and coordinate resolution. Refund offer only applies to the fee for the Complete Home Inspection service. Reimbursement of second inspection shall not exceed the original Coastal Property Inspections Complete Home Inspection fee. Thank you for your very professional and thorough Home Inspection and Report for my new home. Your report is well-presented and addressed all of my areas of concerns and "need to knows". I now know why you came highly recommended by my real-estate broker who assured me your work was "top-notch", thorough, and honest. I'm also very pleased with the fast turn-around time of the report. Thanks again for all your hard work. I really appreciate it! Thanks for the thorough home inspection!! Your quality work and professionalism absolutely sets you apart from other inspection firms. Thank you for your efficient and expedited condo inspection service. Thanks so much for your thorough inspection on the condo. I also wanted to thank you for all your follow up calls. I am very pleased with the level of service you have provided, and will certainly recommend you to all my family and friends. Thank you for you thorough and prompt home inspection on the existing property I purchased in St. Petersburg, FL. Drew, I'm not sure of the discount directly related to your inspection but in the final outcome my premium was $1,000 dollars less than last year. CPSG comments: Mike invested $100 for insurance inspections and realized a $1,000 annual saving on his home owner’s insurance premium. That’s a $1000 savings every year moving forward. The original quote included clips for the mitigation discount but if I can remember right it was a savings of about 350-400 dollars, so it would of been ball park $1650.00-$1700.00. CPSG comments: Lorraine and her family invested $65 for insurance inspections and realized a $350 - $400 annual saving on their home owner’s insurance premium. That’s a $350 - $400 savings every year moving forward.